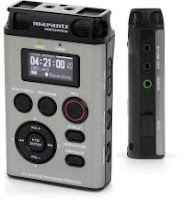 It looks like Marantz is offering a $100 rebate on the PMD620 handheld digital audio recorder. BSW and Sweetwater are both showing the rebate on their product pages, which brings the price of the recorder down to $299 after rebate. But some sites, like DJDeals are selling the recorder for as low as $322 before rebate, which means you can pick up a PMD620 for just $222 after rebate. The rebate form says you have to purchase the recorder from an authorized dealer, but it’s not entirely clear which dealers are unauthorized. It looks like you should be OK as long as you buy a new recorder from a store and not a refurbished or secondhand unit from a reseller. But I’m not making any promises. I was thinking about ordering the PMD620 for recording music (and with $100 off it is one heck of a deal). I called Marantz and asked about the rebate and it is ONLY authorized dealers that you can buy it from bswusa.com is one of the sugggested sites and they will not honor rebates from other sellers. For those interested i suggest giving Marantz a call so you don’t end up paying $100 bones extra for something.